Ever since I got them, I’ve been hooked (pun very much intended) on my custom-made crochet hooks from ZhuZhu’s World. I started using them for the granny square picot afghan I’m working on. They are unique. They are comfy. They are all around lovely. Meet Julia, the mastermind behind these hooks. Julia hand-makes the coverings out of polymer clay so the crochet hooks are stylish and comfortable. She sands, waxes, and buffs the hooks to make them fit perfectly in your hands. Suffering from fibromyalgia herself, Julia wanted to create hooks that were easy on the hands, yet delightful to the eyes. The hooks are especially good for people who have arthritis or experience pain when crocheting. After telling her how much I enjoyed her handiwork, Julia agreed to host a giveaway! Yay! Now you can get your hands (literally) on some gorgeous, one-of-a-kind ZhuZhu hooks. You can check out her full line of hooks here at ZhuZhu’s Etsy Shop. Wait for May 31st to see if you’re a winner! Complete the form below to be registered to win a custom crochet hook! Do you blog or craft? We'd love to hear where! If not, no worries, just leave blank. To enter this giveaway, please "like" ZhuZhu's facebook page. Crochet Quiz: Test Your Knowledge & Win! Would you consider yourself an expert crocheter? If you know techniques, yarn plies, and needle sizes, take this 20-question crochet quiz and find out how you compare to other crocheters. The best part is there’s a prize for the crocheter with the highest score. No cheating or Googling for answers! PRIZE: The crocheter with the top score will receive JJCrochet’s complete pattern collection – A total of 6 patterns for 5 hats and 1 shrug (a $30 value). Think you’re an expert on all things crochet? Take this 20-question quiz to challenge your knowledge and see how much you know about the craft you love. 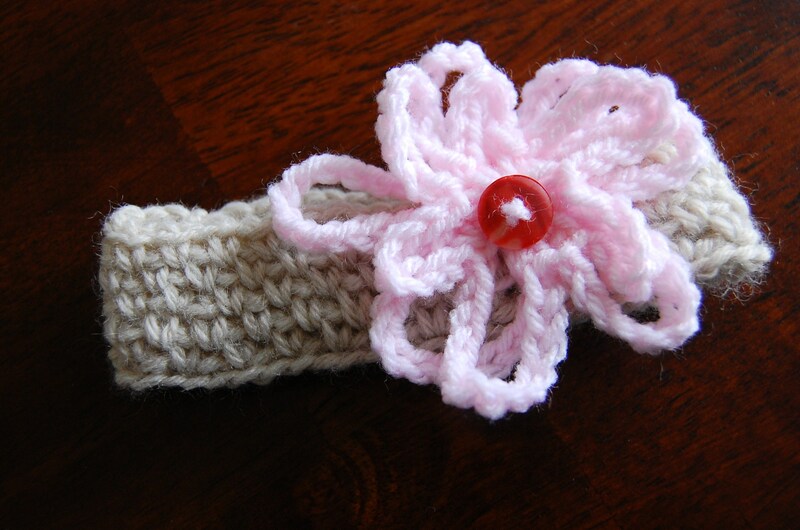 Much like knitting, crocheted items have a “right” and “wrong” side. Most people accredit the first pattern to the Dutch magazine, “Penelope”. A double crochet stitch is how many times taller than a knit stitch? Though it varies slightly by pattern, crocheting takes how much yarn in comparison to a similar knitted pattern? 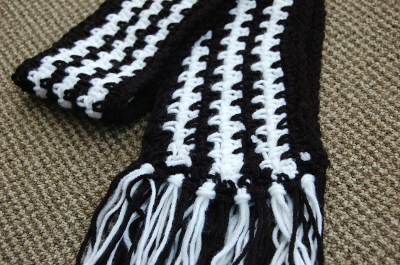 A British Treble Crochet (tc) is equivalent to which stitch when using American terminology? You’ve found the perfect pattern for a woman’s sweater. You’ve bought the yarn and crochet hook called for in the pattern. 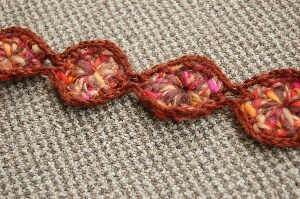 Before you begin, you make a test swatch using the recommended yarn and needle size. What are you doing? Wasting time when you could be crocheting! Seeing how the pattern would look as an infant size. If making a delicate crocheted doily, which sized hook would you most likely use? What would be the American size for a crochet hook with a “5.0mm” metric measurement? Row 1: DC across 16 stitches. Row 2: Chain 2, DC in next 3 stitches. *DC2tog*. Repeat from * to * until only 4 stitches remain. DC in last 4 stitches. What is your stitch count at the end of Row 2? You’re working on a textured hat using a special stitch. The instructions for the stitch read: *Yarn over, insert hook in stitch. Yarn over, pull up a loop. Yarn over, pull through two loops. * Repeat from * to * 3 times until you have 4 loops on hook. Yarn over, pull through all loops on hook. What is the general name of the stitch you just made? Which of the following IS NOT a crochet stitch? 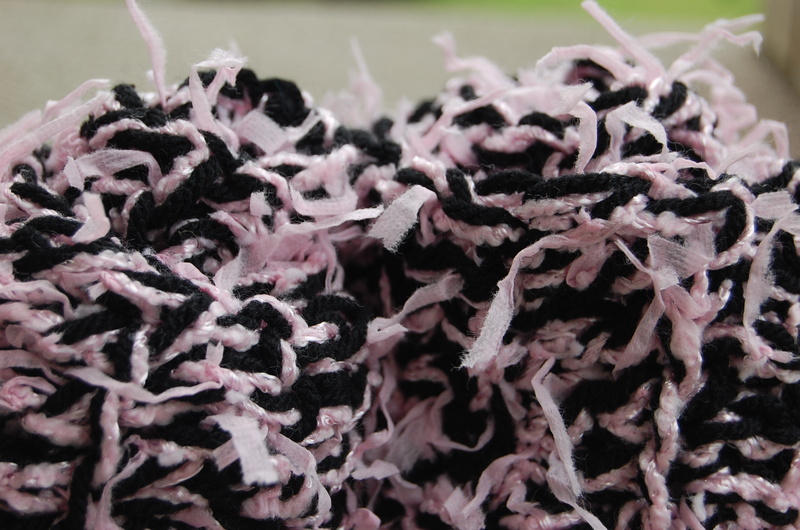 You’re looking for worsted weight yarn. How many “plies” are you looking for? You are going to make a pair of felted mittens. Which type of yarn do you use? Think you knew your stuff? Challenge your friends to take the quiz and see how they add up: Share on Twitter or Share on Facebook. As promised on JJCrochet’s Facebook, it’s time for a holiday crochet giveaway! Once you've shared this post on Facebook or Twitter, please confirm your entry by filling out the form below. 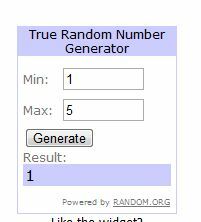 If you're the winner, you'll be contacted tomorrow. Thanks! JJCrochet’s 6 Year Etsy Anniversary – Get a Free Crochet Pattern. Dec 30th Only! In one hour, it will be December 30th. To some, December 30th is an insignificant day between the bustle of Christmas and the excitement of New Years. But true, die-hard JJCrochet fans have marked that day on their calendars because they know that December 30th, 2011 marks JJCrochet’s 6th Anniversary on Etsy. Woo-hoo! Since last year, JJCrochet has sold 181 crochet patterns, crochet cowls, and crochet hats for a grand total of 816 sold items over the past 6 years. I’ve been so blessed. Thank you to every one of my customers. I’ve loved interacting with you, sharing little pieces of my crochet, and seeing your finished products. To celebrate JJCrochet’s 6 year Etsy anniversary – you guessed it – I’m having another giveaway! I was debating what would be better than giving away a free crochet pattern when I decided nothing would be better than that. Everyone loves free crochet patterns! 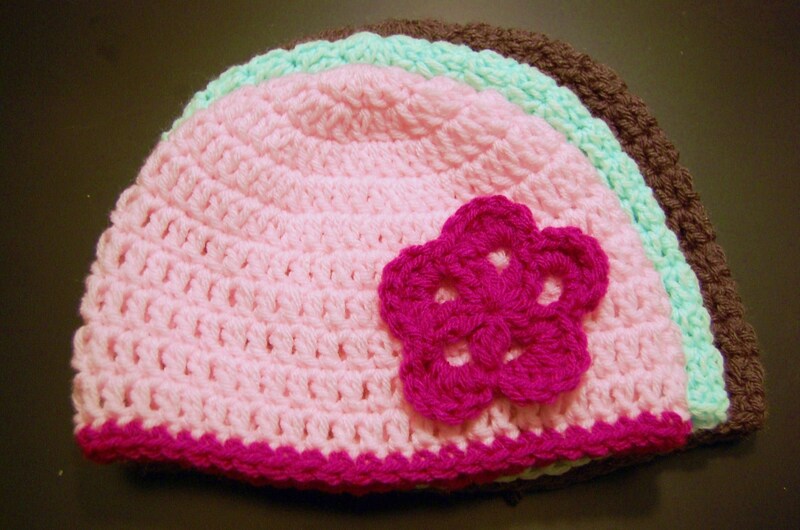 For JJCrochet’s anniversary, I’m giving away free copies of the Jenny Lee Hat (pictured above). It’s become one of my top selling patterns. 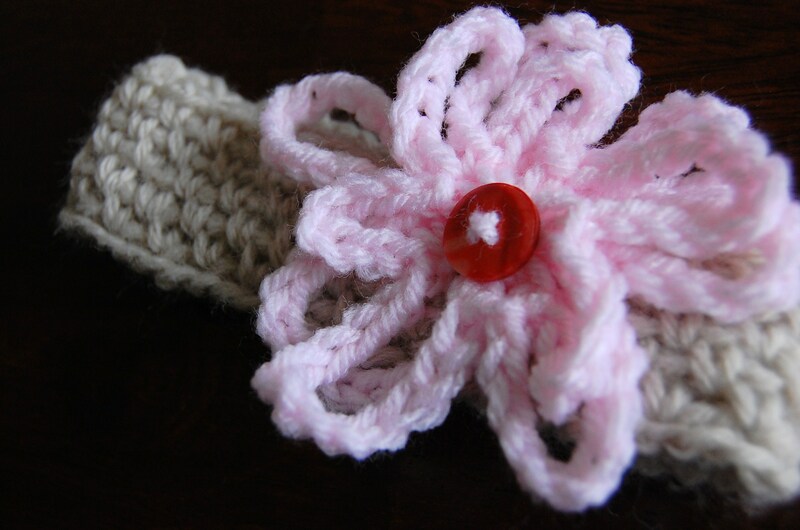 Share the JJCrochet love on a social networking site of your choice! Sharing includes: tweeting about your favorite project, sharing your favorite JJCrochet pattern on Facebook, or posting a link to one of JJCrochet’s crochet video tutorials. -Facebook (facebook.com/jjcrochet) – Click the “share button” on the most recent post. Make sure to “tag” JJCrochet in your post/status/update/link so I know to enter you into the contest! Everyone who enters will get a free Jenny Lee crochet pattern e-mailed to them (so be sure to send me your e-mail). Once you’ve shared the love, fill out the form below so I know where to send your free pattern. After you've "shared the JJCrochet love", fill out this form to receive your free copy of the Jenny Lee Hat pattern! So I can send you your free pattern! Post the link where you shared the JJCrochet love! Happy 6 Years, Everyone! Here’s to another six. If you’re on my site now – Friday night (11/25) at 8pm, you’re in luck! As part of my participation in Black Friday, I’m going to be giving away a free pattern every hour for the next 4 hours, now through 12pm tonight. To enter, all you have to do is follow JJCrochet on Twitter or leave a comment on this post. I’ll randomly select 4 winners–one per hour– and e-mail you your free pattern. It’s as simple as that. Choose from JJCrochet’s entire pattern library here: http://www.etsy.com/shop/jjcrochet?section_id=5139914. May the best Twitter-er win! Congrats to the winners! Thank you everyone for participating – Enjoy your free patterns! I spent the better part of today (read: 5 hours) writing a pattern for the ultimate crochet beanie and testing it in each size. If you’re a crochet designer you can relate. You try something, it doesn’t work. You rip it out and try again. And one more time until you’ve gotten it perfect. That’s what I finally have in this pattern: PERFECTION. I’ve written 2-3 drafts of this type of hat, but it never turned out quite right. The hats were fine, they just weren’t exactly what I wanted. Enter in this baby, the *insert cool name here*. 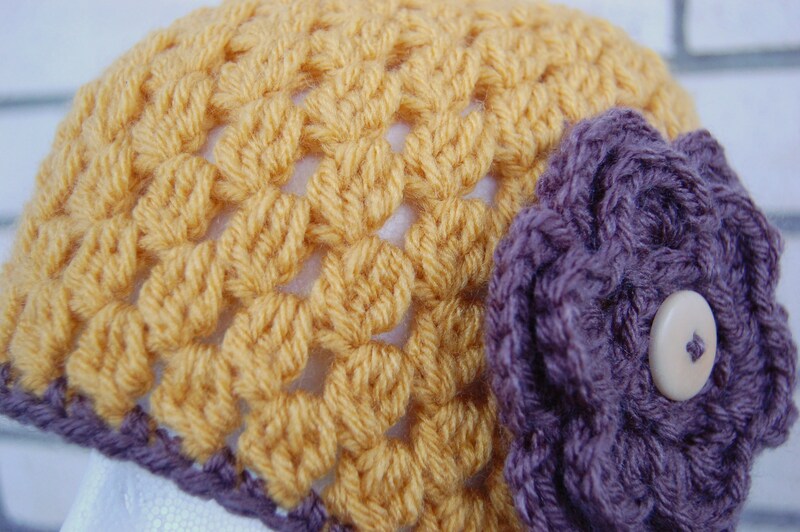 It’s a basic beanie pattern in 4 different sizes – baby, child, women’s, and men’s. 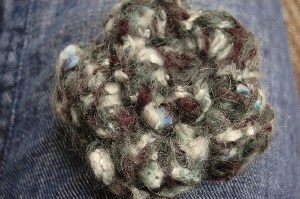 You use a size H crochet hook (basic) and any worsted weight yarn (basic). I wanted to create a (basic) pattern that would be a crochet’s “go-to” hat pattern. What would you name this hat pattern? Now here comes the fun part: I’ll be releasing the pattern on 11/1. Remember “insert cool name here”? That’s where I need your help! Submit your name for this pattern on JJCrochet’s Facebook page here: http://www.facebook.com/photo.php?fbid=266367253400325&set=a.135105763193142.12207.130387266998325&type=1&theater. Get the most “likes” for your name and win a FREE copy of the _________ pattern. I’m trying to get an early start on CSS 2011 (Craft Show Season). This means I’ve been crocheting hats like mad and evaluating finished projects. This is where you come in, dear blog reader. I am hosting a 24-hour, no rules Crochet Giveaway! Woo! 1. 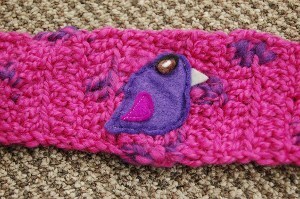 Browse the pictures below of crochet and knitted goodies. 2. If you like something comment below and say what catches your eye. Could be one or two things – could be it all! If you like it, claim it. 3. If you’re selected (ie. win my favor), I’ll send you your items for free. 4. Celebrate and enjoy your crocheted treasures! Contest begins NOW and will end 7/29/11 at 12:00pm EST. 10. 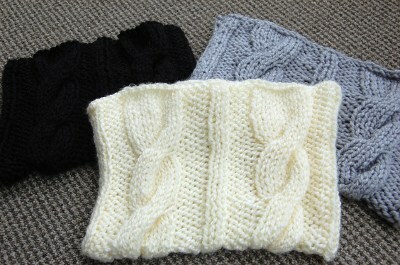 Black, Gray, or Cream Knitted Purse Shells. Line and Attach handles to make a cute purse! My mom periodically (no pun intended) gives me pictures of crocheted items from magazines, “Just for inspiration,” she claims. This time, she was onto something. 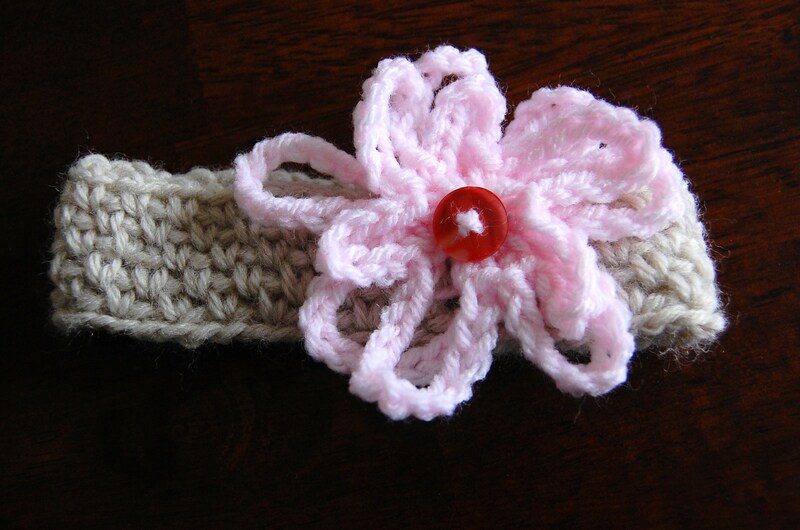 That something became the basis for JJCrochet’s newest hat pattern: the Jenny Lee. 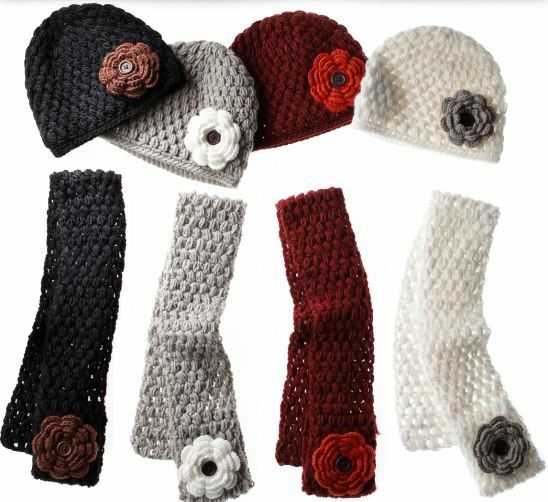 The magazine clipping my mom gave me was a Macy’s ad that featured this crocheted hat by Fossil: Cute, right? 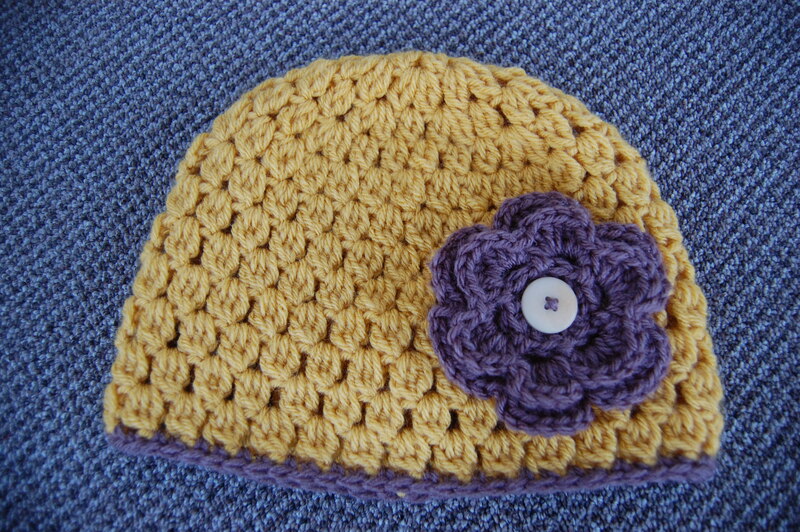 I liked the hat’s textured detail, button, and flower – what’s not to like? Over Christmas break, I decided to experiment. I got out the crochet hook and after much squinting at the tiny magazine pic, I came up with the perfect pattern. And I’m not just saying that because I wrote it. It’s quite addicting. The mathematical element works out evenly which causes the hat to fit perfectly. I especially like this crocheted hat because it doesn’t look like your typical double crochet; the puff stitch adds something a little special, don’t you think? I named this Jenny Lee crochet hat pattern after one of my current college roommates who is sweet and subtle and everything fashionable, just like this hat. You can purchase this PDF crochet hat pattern for $5 in my Etsy Store or instantly download it from Ravelry. As a special intro, I’m giving away two copies of the crochet pattern via random drawing (woo woo!). To enter the Jenny Lee crochet hat pattern giveaway, leave a comment on this post and let me know what you think about this new pattern. 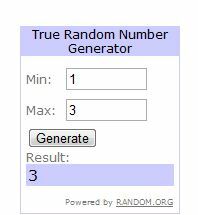 On January 24th, I’ll randomly select two winners. Happy Free Pattern Giveaway! Ah I almost missed it – the 5th Anniversary of my Etsy shop! I was reading someone’s blog post about an Etsy-versary when I remembered mine was sometime towards the end of December. I looked and ah – it was today! It IS today! How could I have almost let this day pass uncelebrated?! 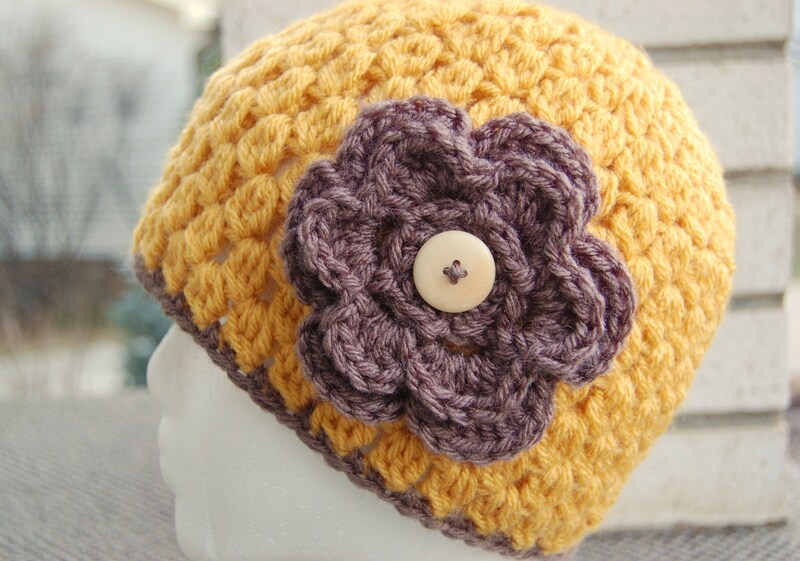 JJCrochet first opened shop on December 30, 2005 and has sold 635 crochet patterns, knit hats, chunky cowls, thick scarves, and summer headbands. Wow. I couldn’t have done it without you, my wonderful customers. THANK YOU, THANK YOU! You’ve made these past 5 years wonderful. To honor my Etsy-versary, I’m giving away FREE copies of my most popular crochet pattern: The most versatile crochet newsboy hat pattern! To get your free copy of the pattern that’s been purchased over 500 times, simply leave your name and e-mail in a comment and I’ll shoot you over the PDF. Since there are only 4 hours left of December 30, 2010 here in Pennsylvania, I’m extending this free giveaway until midnight on December 31, 2010, EST. 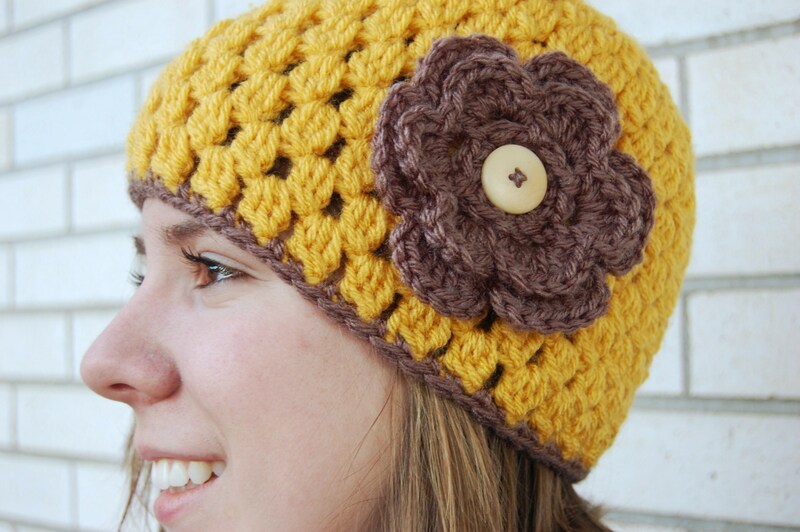 Here’s a picture of the crochet newsboy hat pattern that will soon be yours! Thank you for celebrating with me and thank you Etsy – here’s to another great 5 years! Leave a comment to receive your free pattern. Update: Thanks to all who commented – enjoy your free patterns! Thanks to everyone who participated in JJCrochet’s Summer Giveaway from July 28 – August 4th! It was our first giveaway, but hopefully not our last. 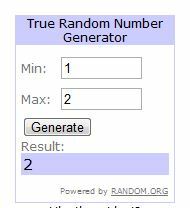 Winners were selected using a random number generator.